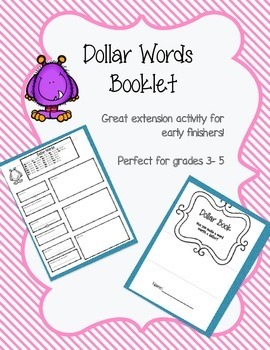 This is a great beginning of the year booklet to make with your students that they can add to throughout the year. 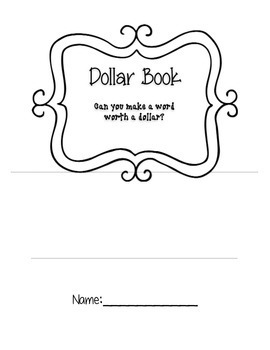 This Dollar Words Booklet challenges students to think of as many words that equal a dollar (i.e. 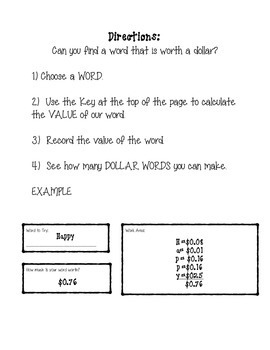 a = $0.01, b = $0.02 etc.) 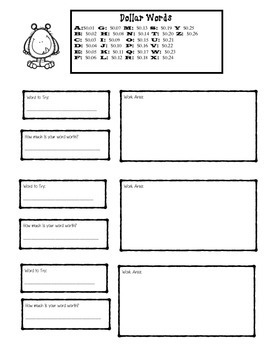 I use this as a fun extension activity for students who finish work early.